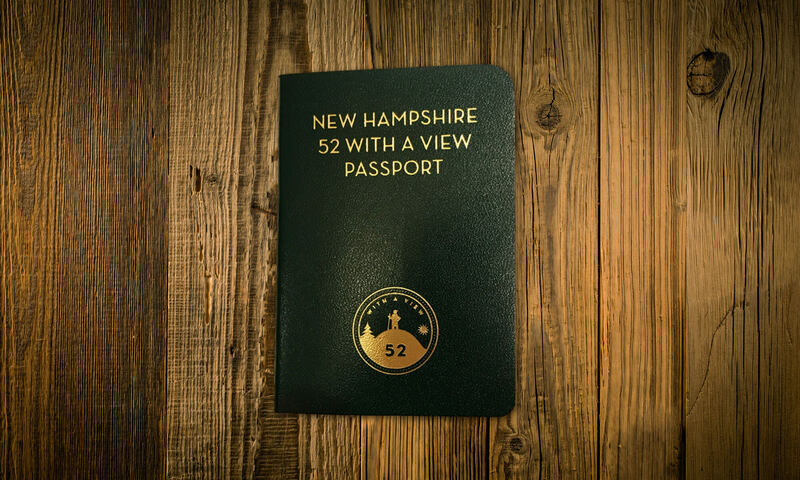 This pocket-size passport is ideal for keeping track of your climbs of the increasingly popular "New Hampshire 52 With a View" list. 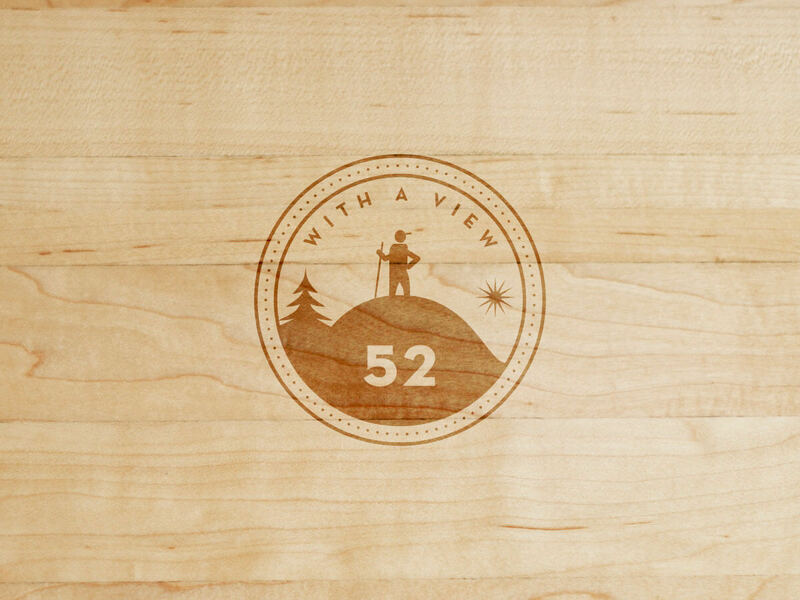 Created by the Over the Hill Hikers of Sandwich, NH, this list features Granite State mountains below 4000 feet in elevation that offer good views. Bound with a handsome dark green leatherette cover, it includes a page for each of the 52 peaks on which to log date, companions and hike notes. 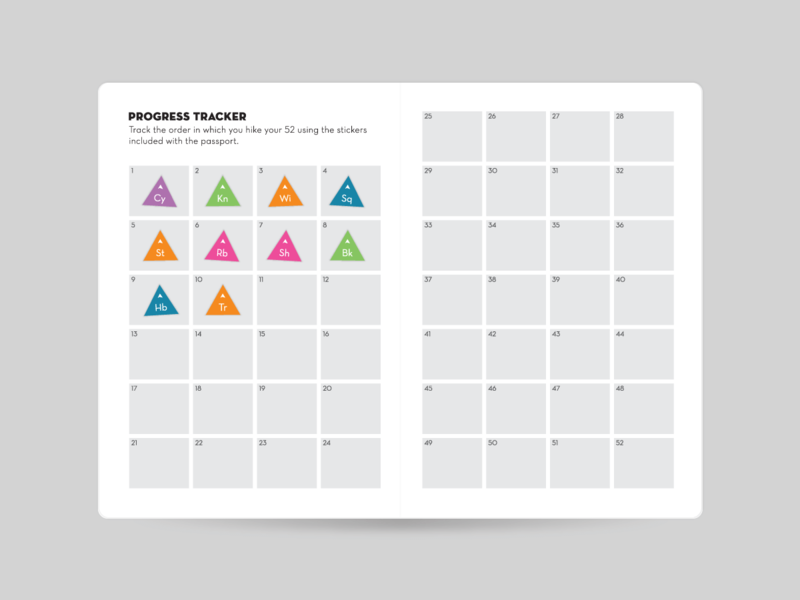 Included are two sets of small peel-off stamps for each peak - one to place on the individual peak page, and another to place on the two-page centerspread to track your overall progress in climbing the "52". 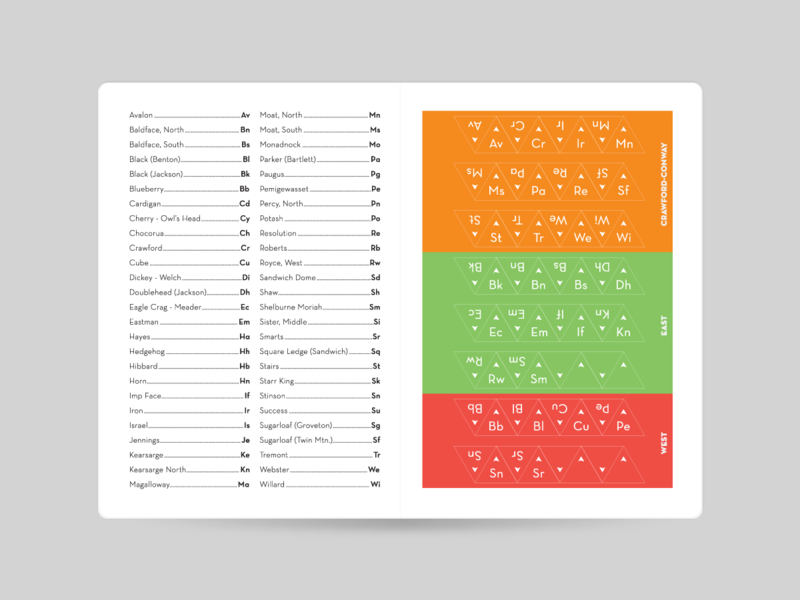 The stamps are referenced to a peak abbreviation key on the back page of the passport.